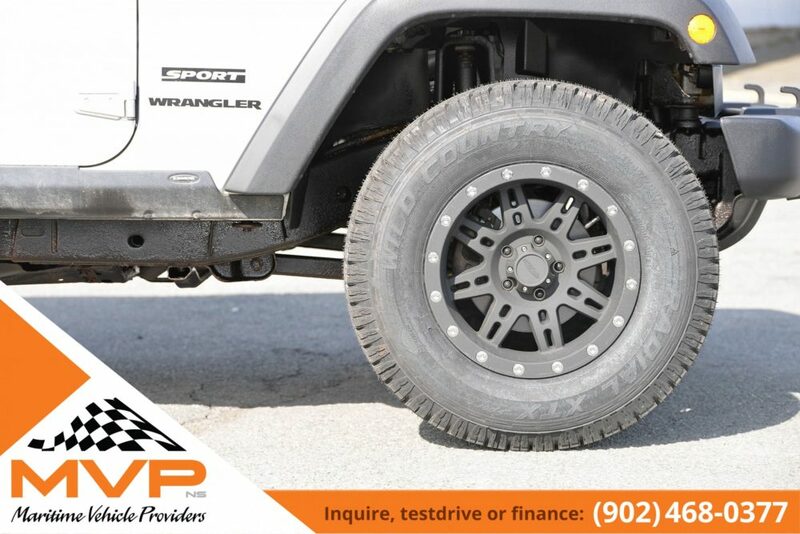 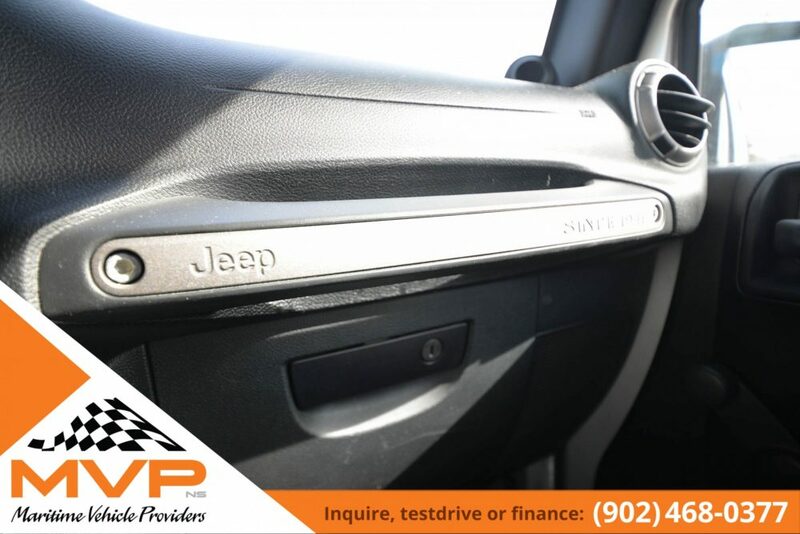 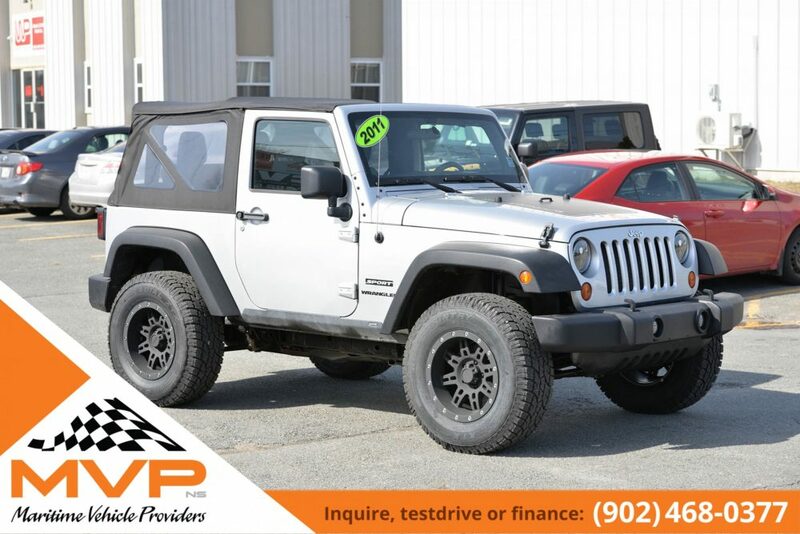 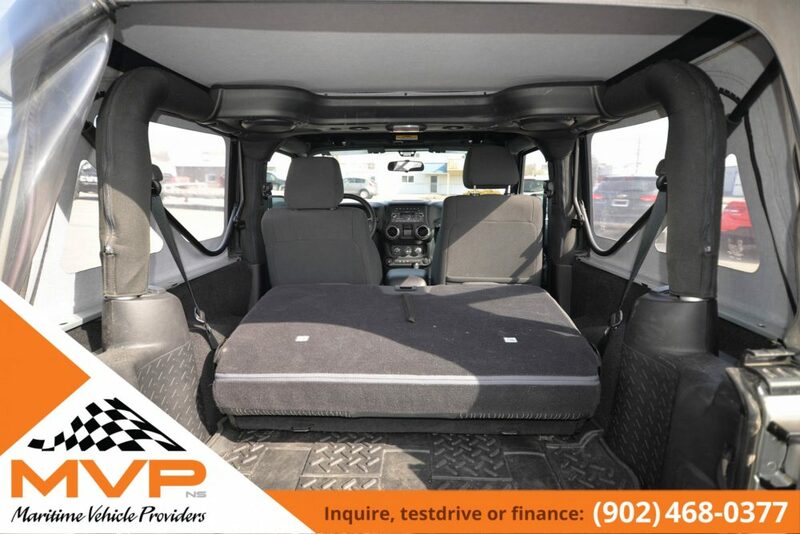 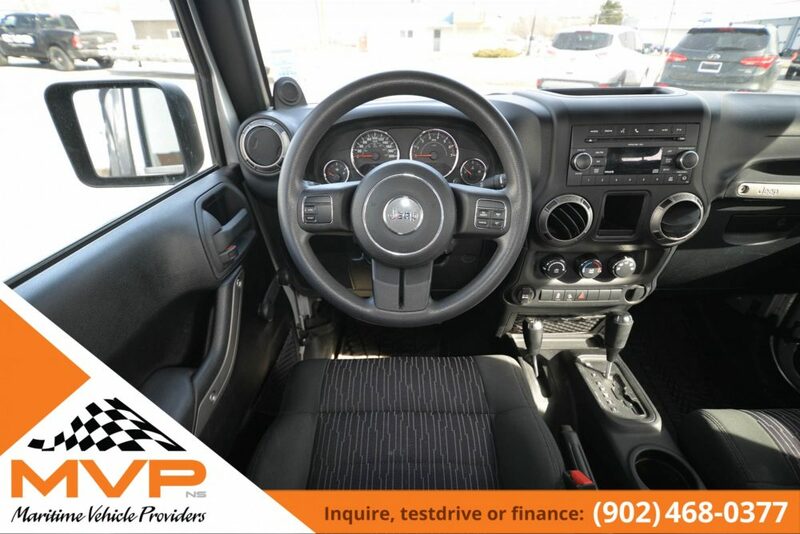 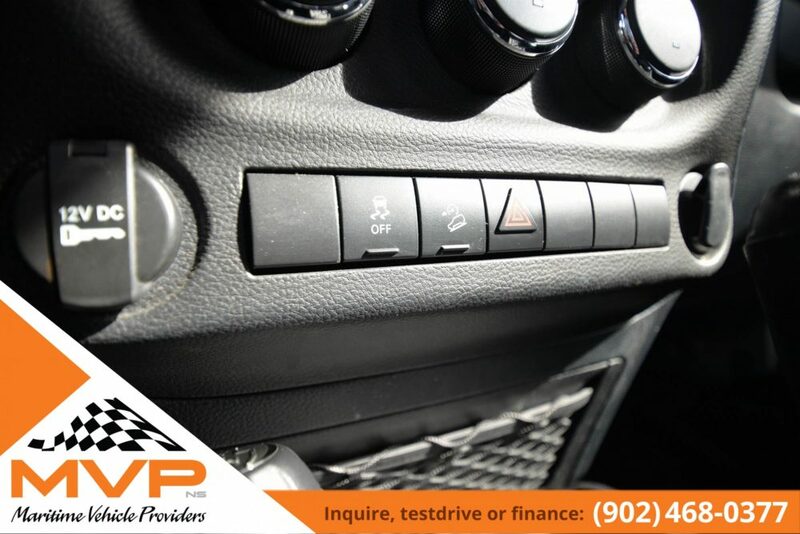 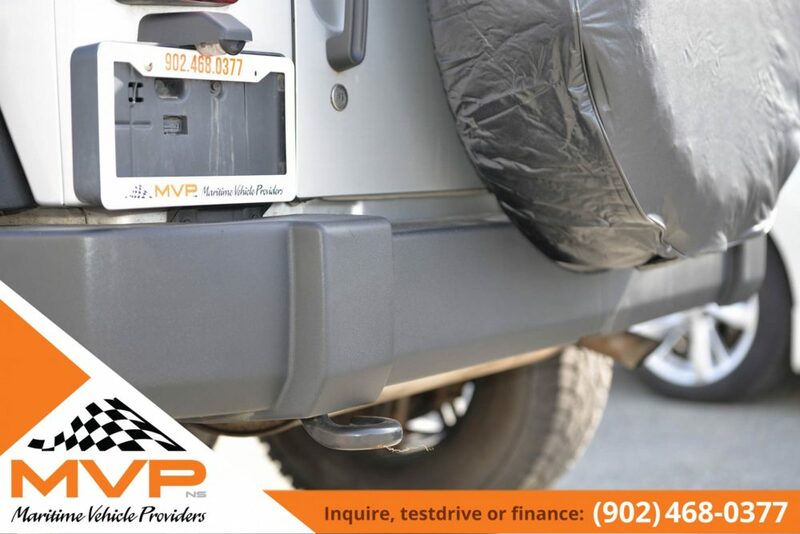 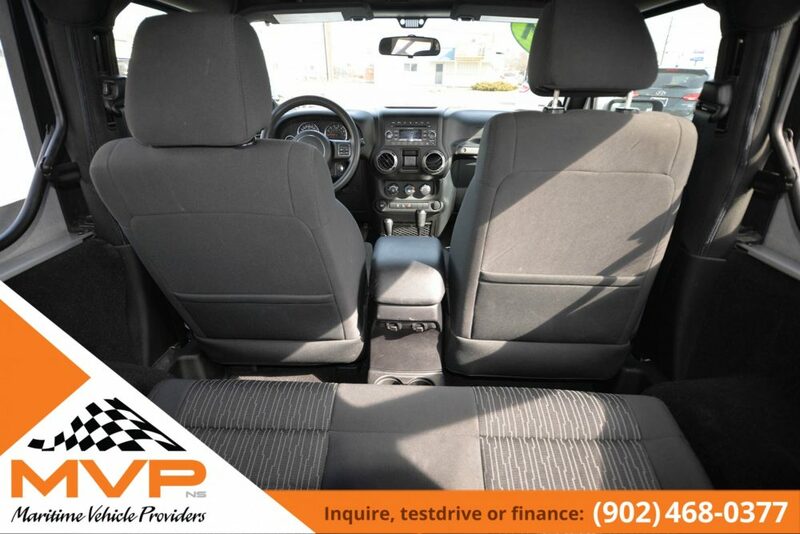 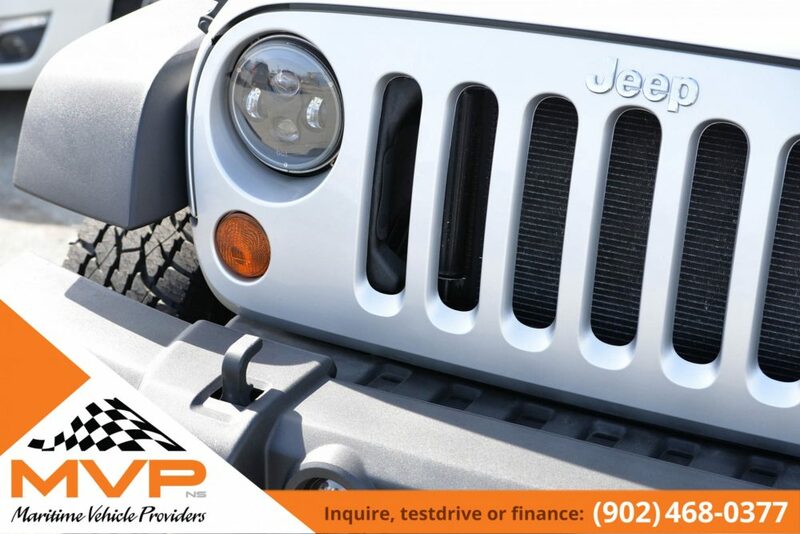 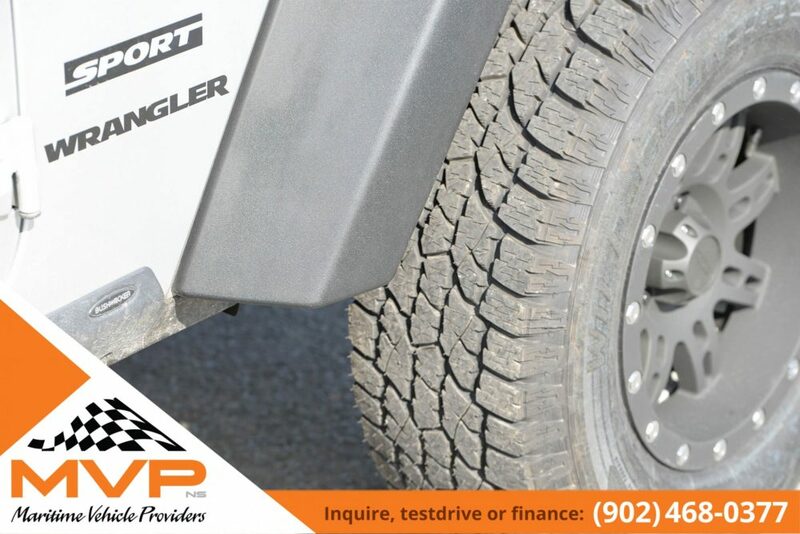 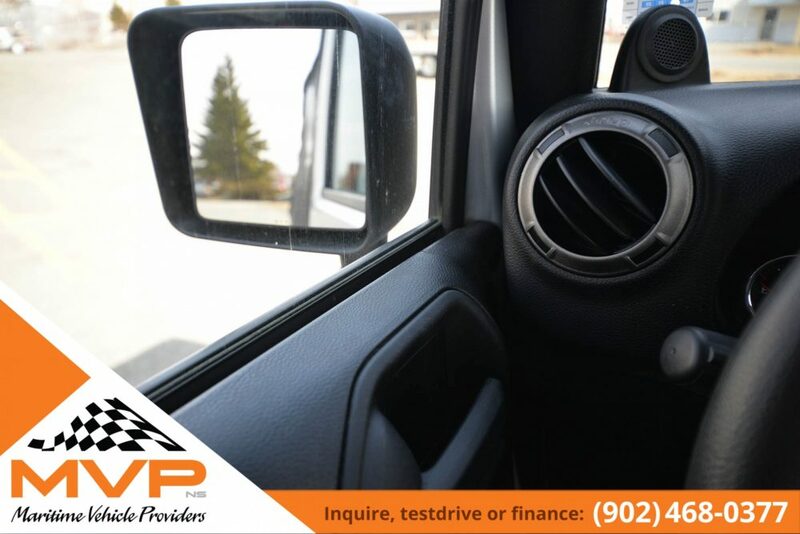 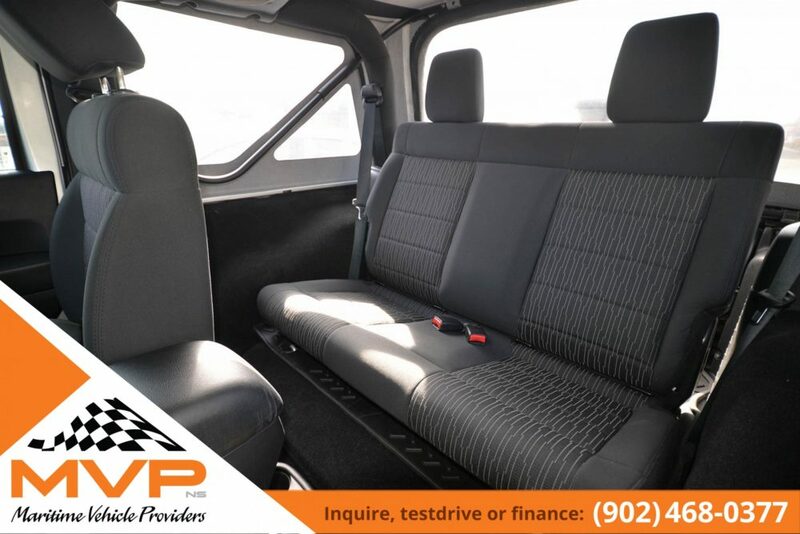 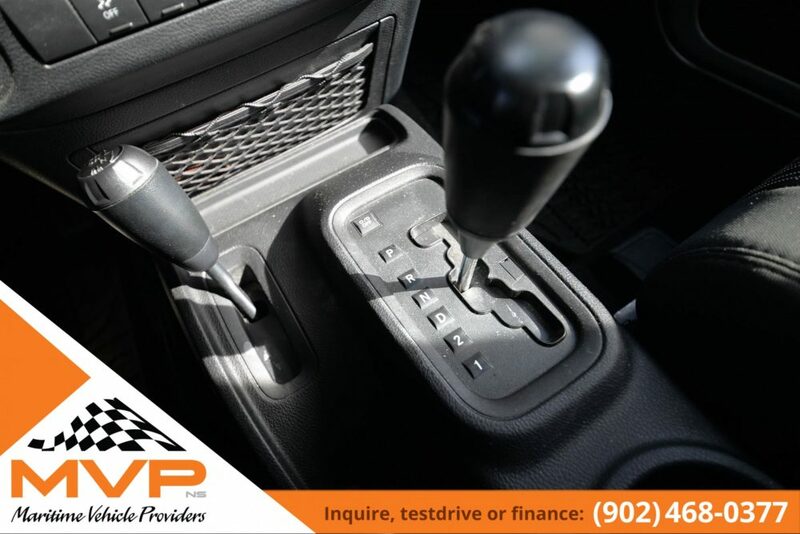 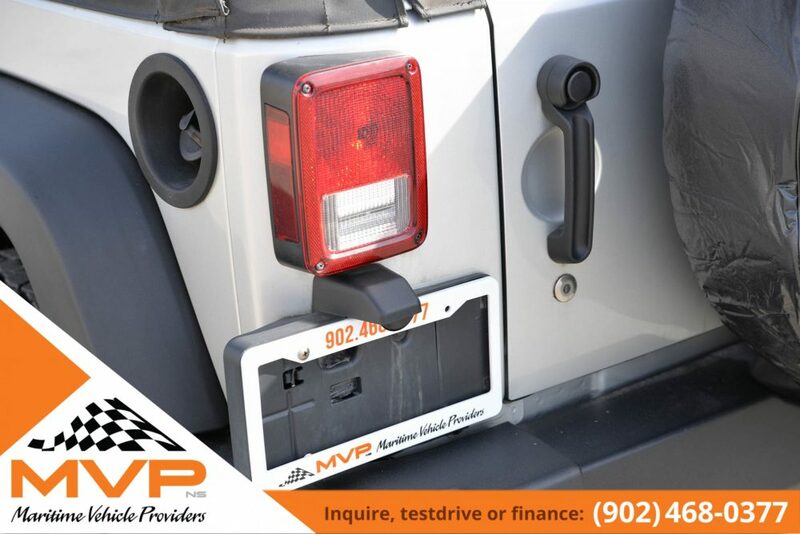 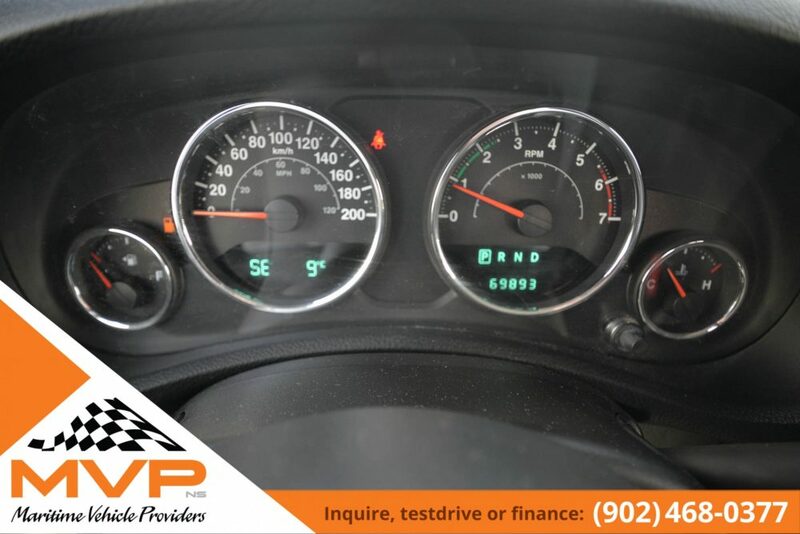 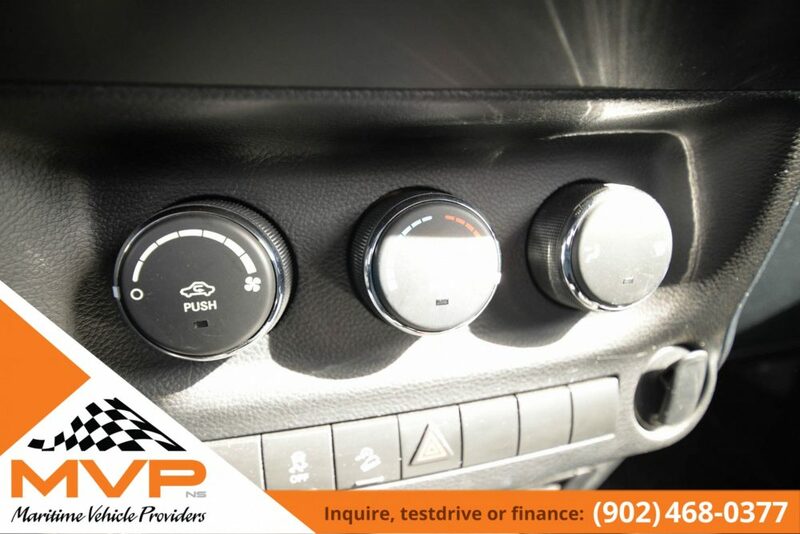 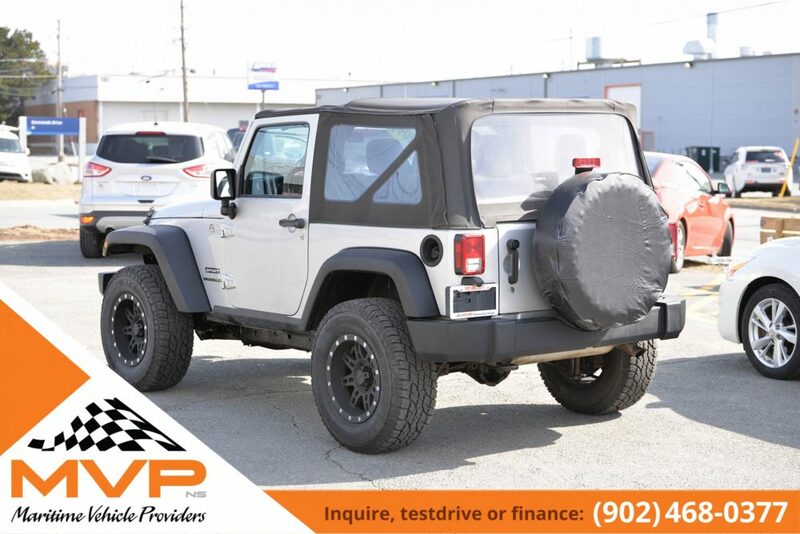 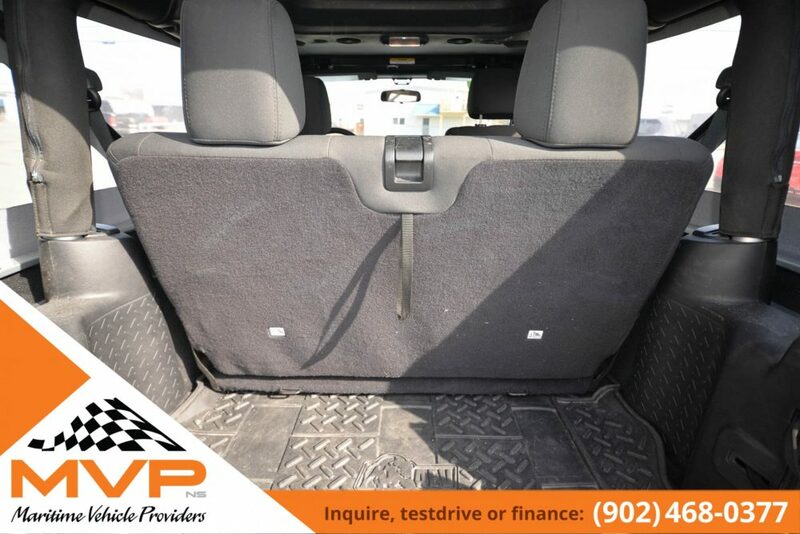 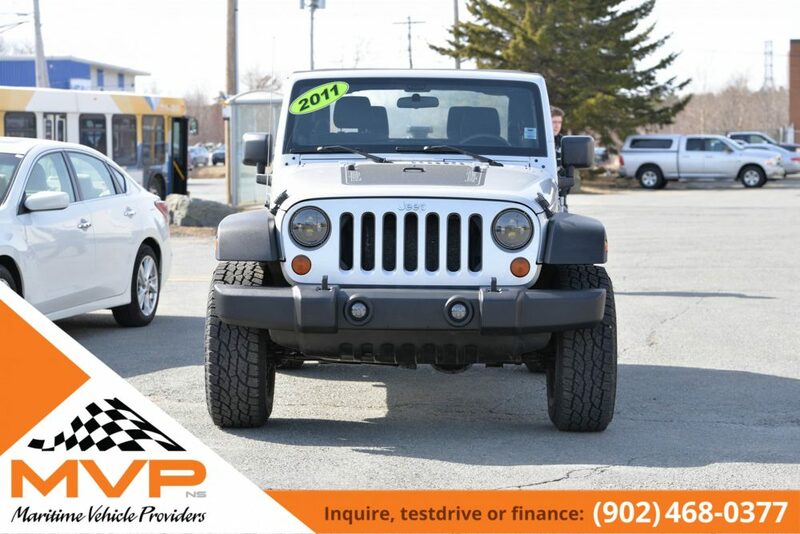 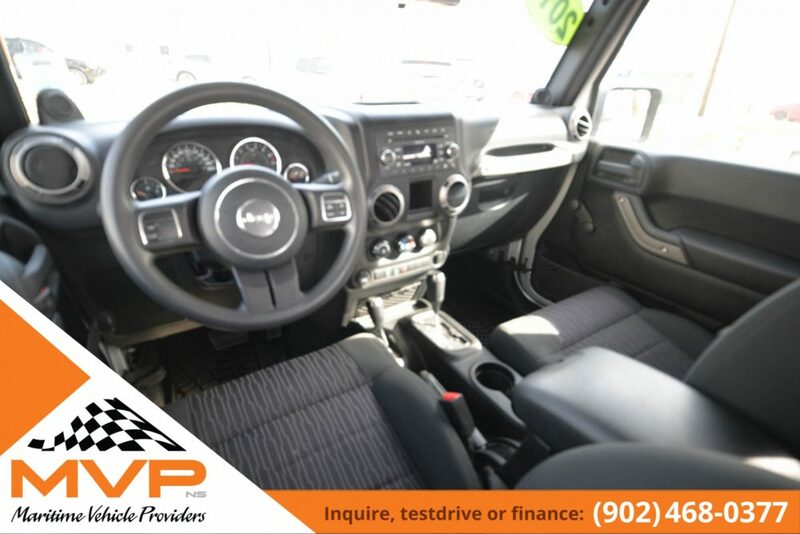 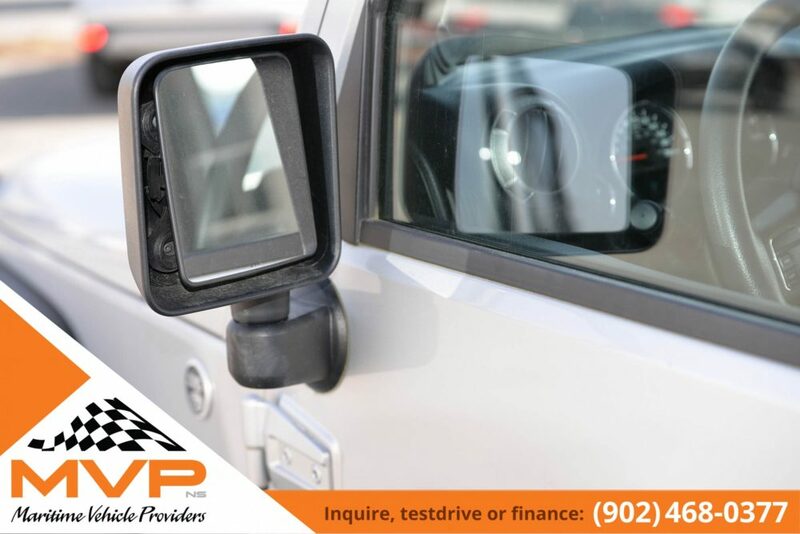 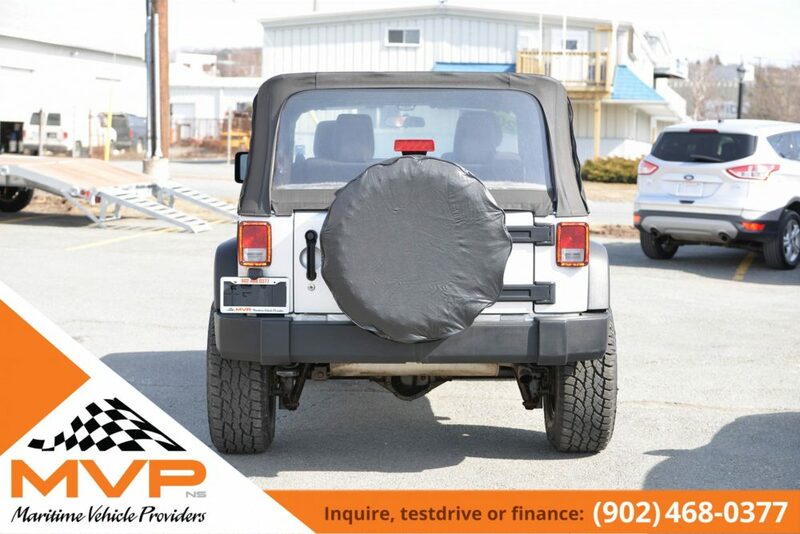 To all Jeep lovers out there, MVP is proud to present a 2011 Jeep Wrangler Sport MVP Edition with only 69,000kms. 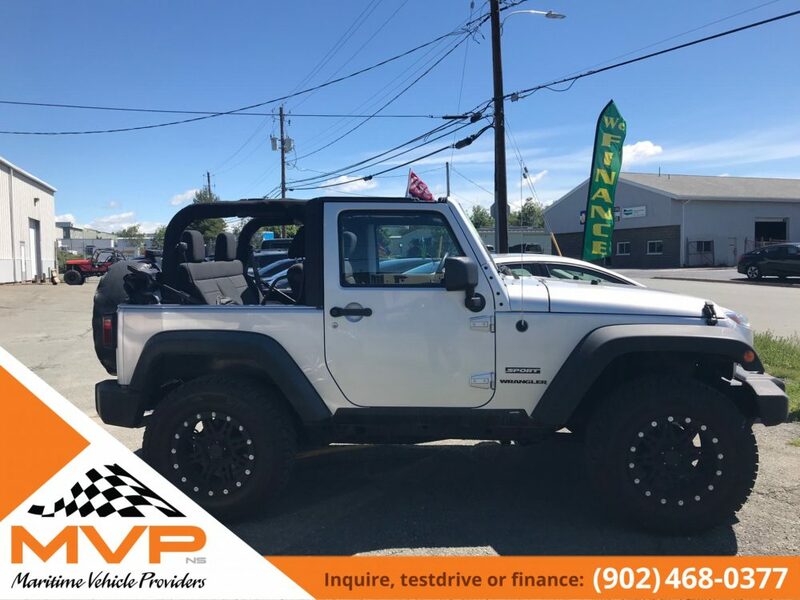 In conjunction with CVO we have this vehicle in Tip top shape, never been wheeled, modest 2 inch lift, with brand new Wild Country XTX 285/70/17’s, Brand New 17″ Pro Comp wheels, LED headlights and fog lights, fresh undercoating and more. 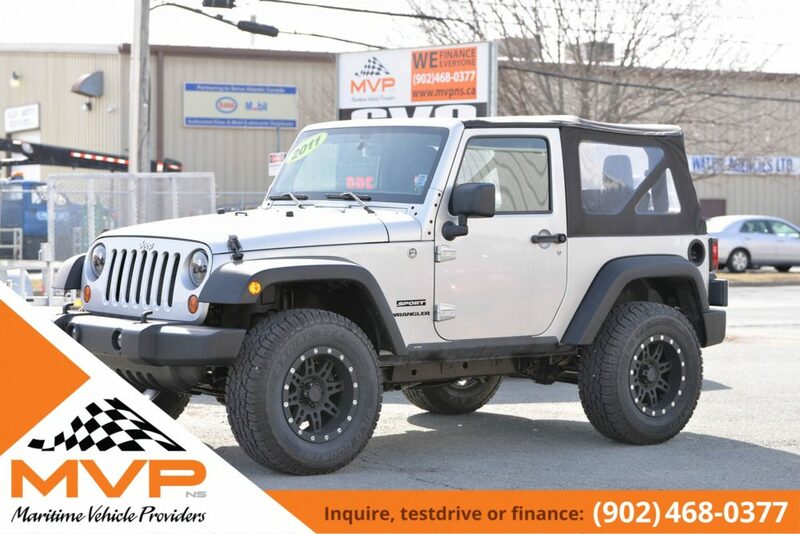 This Jeep needs NOTHING!. 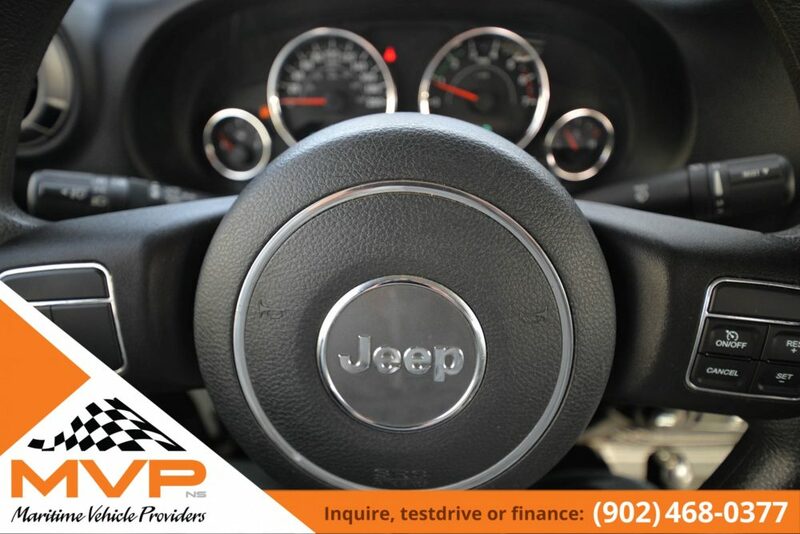 Powertrain Warranty Included! 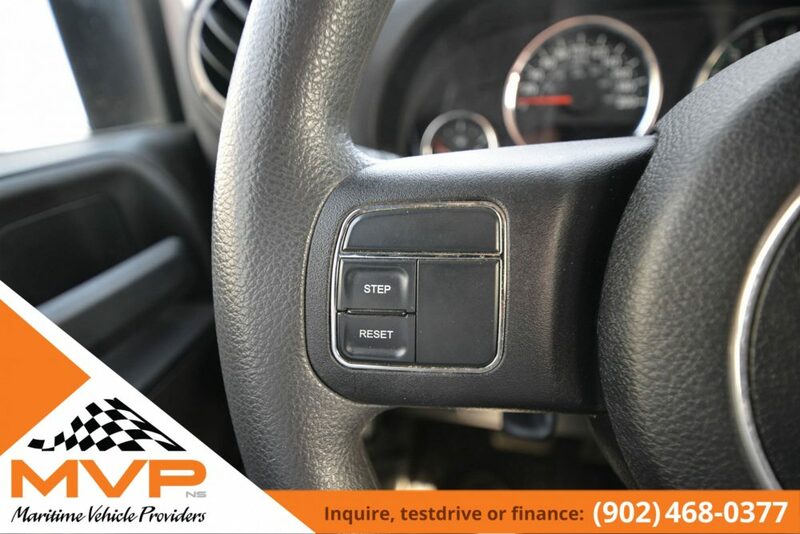 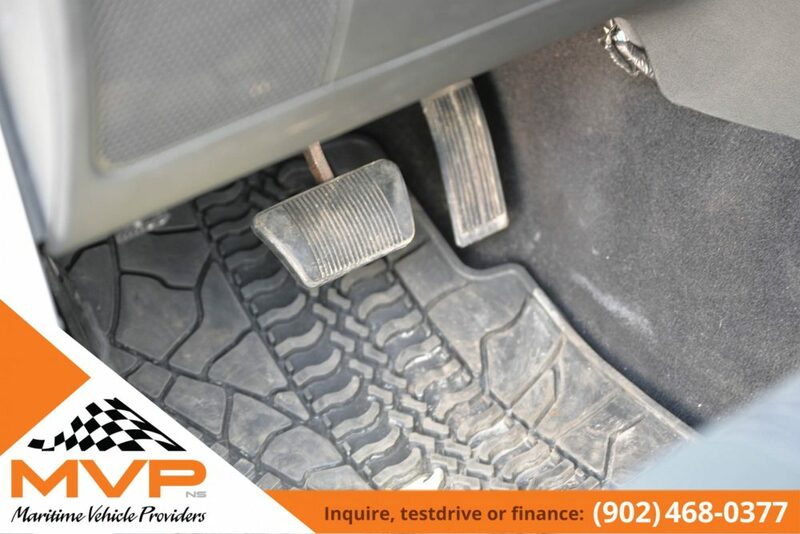 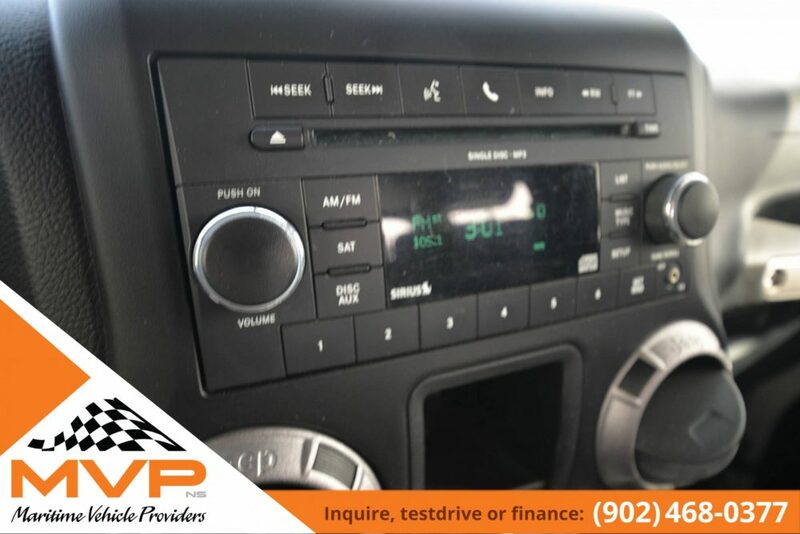 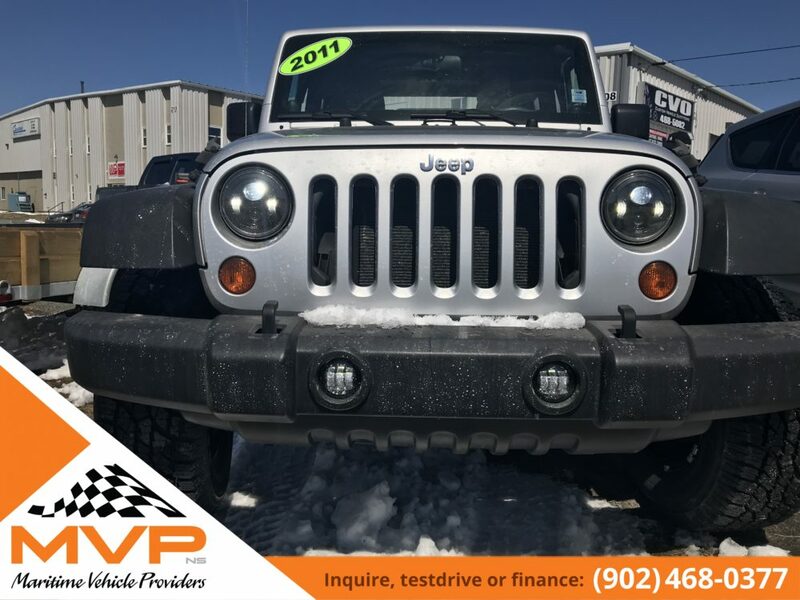 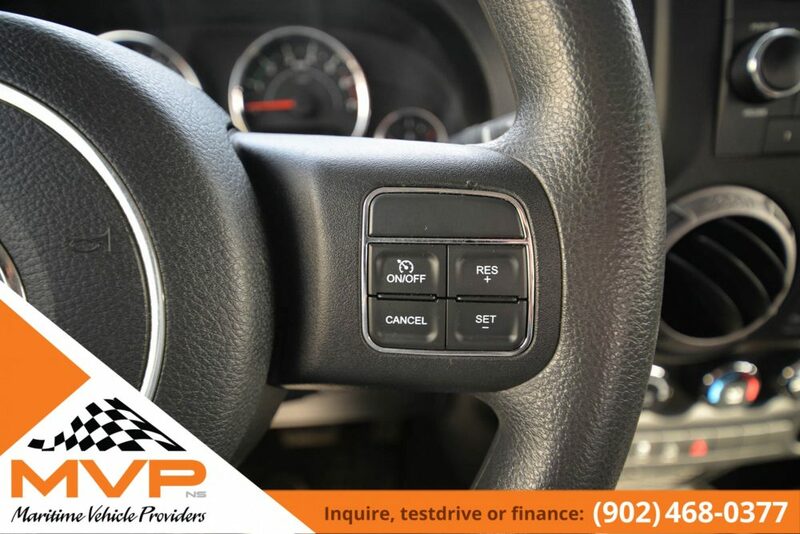 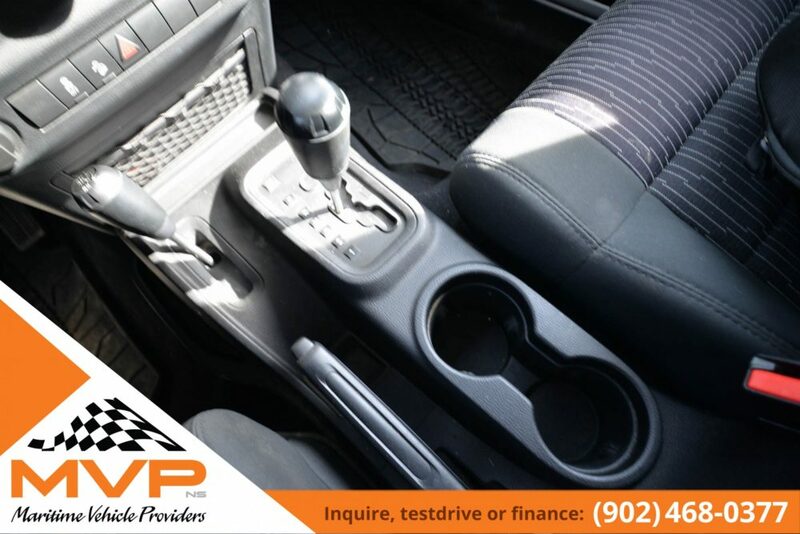 Comes check this out at 208 Joseph Zatzman Drive Dartmouth NS or call 902-468-0377.
Financing is available and guaranteed for all credit situations. 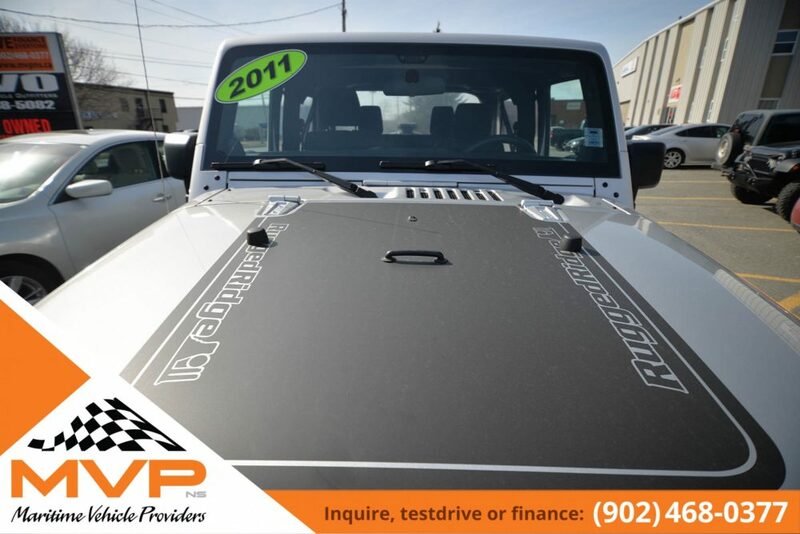 Financing rates start as low at 4.99%(OAC) and extra modifications can be included!